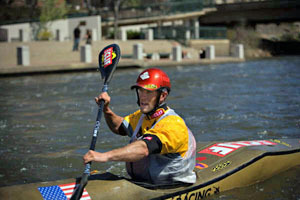 The USA Wildwater Board of Directors has been working hard in 2008 to expand USA Wildwater's corporate sponsorship programs and is proud to announce our new national partnerships with KEEN, Clif Bar, Immersion Research, Sports Star Pro Sales, Old Dominion Freight Lines, and Nantahela Racing Club. These sponsors have came on board in 2009 to give help fund our national team members training, equipment, and travel expenses representing the US abroad. These new sponsors, combined with the generous donations from current USA Wildwater members, make the dreams of these developing paddlers a reality. These partnerships will also expand the prizes at local to national level races for all of USA Wildwater membership. Please take a moment to visit our sponsors websites, check out their great product lines, and thank the stores in your local area that carry their product by buying these manufacturers products that support the sport of wildwater in the US. If you have a sponsorship lead in 2009, we now have a professional proposal in place. Just email with that contacts name and we'd be happy to contact them. Thanks to all of USA Wildwater membership for their endorsement of these sponsors over the next year.